Since the beginning of time spring has been the newness of life, growth and future. For those of us who recall spring degrees it was the season of bringing in new members to our Granges. Even though many Granges have shifted to using the Welcoming Ceremony I challenge every Grange and Granger to commit to ensuring their Grange sees that newness of life, growth and a positive future by bringing in at least one new member. I also challenge every Grange to work with their Pomona to organize a degree day. Even though I fully support the use of the Welcoming Ceremony and/or the Obligation Ceremony giving them immediate membership status, there are many lessons that are lost and missed by not ensuring ALL members witness the exemplification of the degrees. It’s hard to explain how and why some things are the way they are when so many new members have never been exposed to those lessons. Please don’t get me wrong. I am not telling you to stop using the Obligation or Welcoming Ceremonies. What I am saying is what it states in the Obligation Ceremony. It is the Grange’s responsibility and obligation to make sure all new members witness the first four degrees within the first year after the ceremony. “Today I welcome you as new members of the Grange as you take this first step in your Grange journey. This ceremony is intended to give you immediate membership status, but you are encouraged to take the ritualistic four degrees within the next year to gain the full appreciation and meaning of the four degrees in our Grange Ritual.” - Quote from the Obligation Ceremony as printed in the 2013 Subordinate Grange Manual. I also believe from what I have witnessed many times over the past three years is that our existing membership needs to be reminded of the obligations we all took in those degrees. I firmly believe many of the challenges we experience today would not be taking place if we all remembered our obligations. Some of the language used in these lessons may be outdated but the messages are as pertinent and necessary today as they were when they were written. 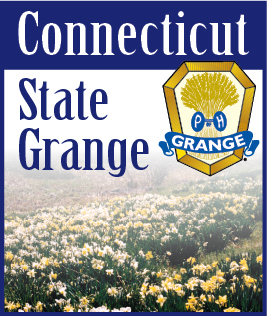 We are reminded throughout all four degrees of the Subordinate Grange on how a member in good standing conducts themselves at all times within and without the Grange to strengthen our Order and make it an organization that is respected and sought by many. A well informed and educated member is a powerful member and drives growth and prosperity for our Order. Brothers and Sisters this is a serious challenge to every member in our organization to bring in at least one new member. Without continued growth we will not be able to succeed. Without continued growth we will cease to exist. I have only been a member for 34 years. I cannot imagine this world without a Grange in it and I don’t want to!